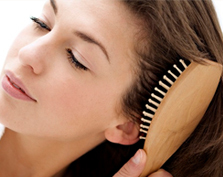 Brushing hair is also vital hair-care regimen.It can make distinct difference to hair heal with different way to brush your hair.the reason why its important to know how and when you brush your hair is that it can help you prevent your hair from more damage. how to brush your hair. 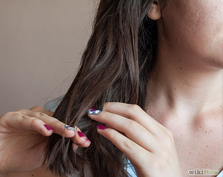 use the comb through the hair gently is the only way to brush your hair.If you brush the stubborn knots of the hair away instead of using your hand to untangle it carefully will cause breakage and leave split ends. when to brush your hair. its a good time to comb your hair with a comb when hair was wet.use a towel on your hair until it dont drip any water after washing your hair.run a wide-toothed comb throuhg the ends and then go a little up wards with each stroke until you untangle the whole length.dry out the hair completely so that you can use a paddle brush to brush hair thoroughly. 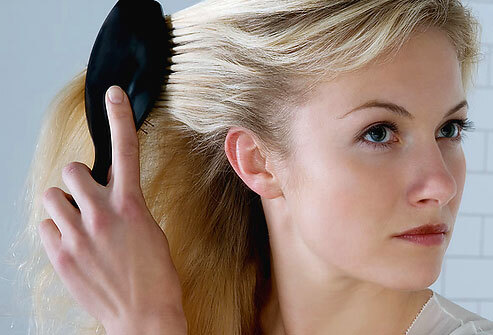 how much to brush your hair each day. you can brush your hair twice a day.bursh enough to style you hair at a new day.run your comb gently on your scalp for about a 100 time before sleeping.